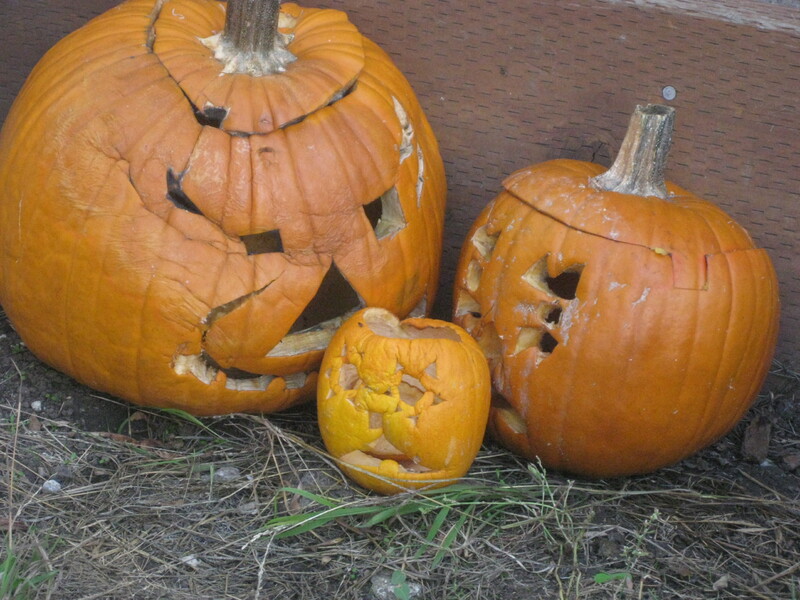 In November, I was racing my writing word count for NaNoWriMo against our decomposing pumpkins. I didn’t win (write 50,000 words) but I did scratch, claw, hunt and peck my way to 20,136 words which is more than I expected in my 3rd week of having the flu. Those 20,136 words are the beginning of the second novel that takes place in the same world as the first. I made some important discoveries about that world that will help inform the first as well…if I can get myself buckled down to do some serious writing. 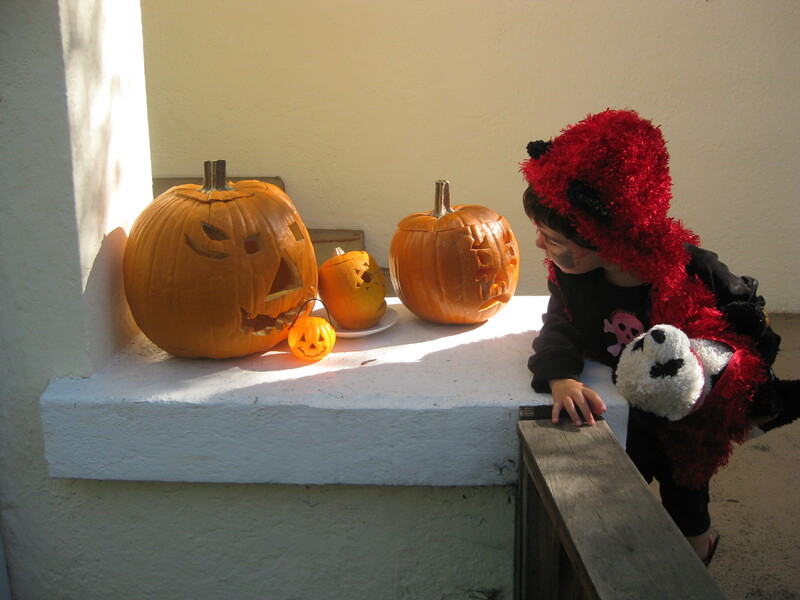 But alas, the pumpkins continue to lead the way. I’m at an interesting place with my novel…I find myself working on the ending while there is still a big, gaping hole of “what happens HERE?” in the middle. I realized that I was fighting working on the ending because…well just because that’s what was happening in my brain. Even though I went into this whole novel writing experience without a plan (or a plot), somehow I ended up making up some rules for myself about how writing is supposed to progress at this point. 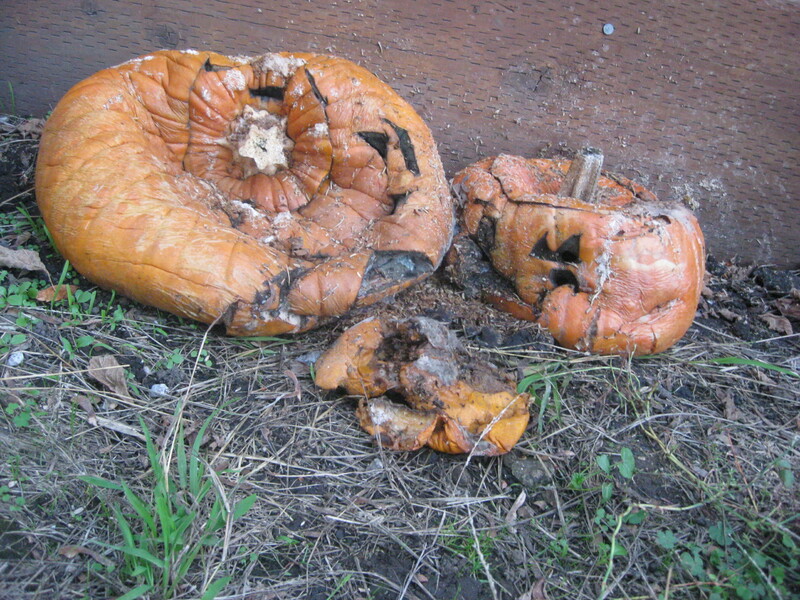 The pumpkins decompose the way they do because of nature. Laws of nature and all that. Writing a novel however has no laws and I don’t help myself by making up rules that don’t help me write. Really I’ve spent a lot of the last two weeks or so not writing all the ideas, images and scenes floating around in my head because they aren’t from the part of the story I thought I should have ideas, images and scenes about. Bring on an improv moment! 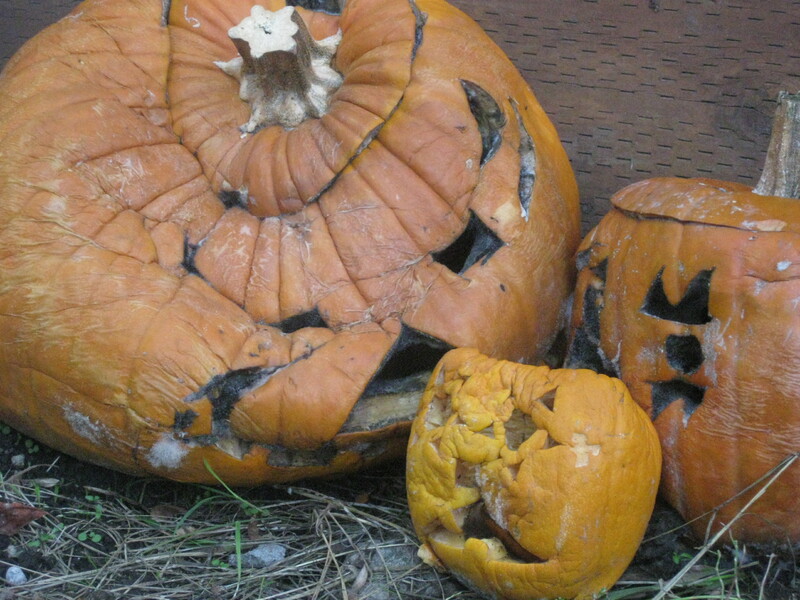 It is time to throw my hands in the air and shout “I failed!” (a classic improv release for my non-improvising readers) and “again!” (another shout-out that improvisors use to embrace failure as a learning experience). And then to give myself the time and gift of letting those ideas, images and scenes take shape on the page so I can play with them, flesh them out, edit them down, rearrange them or whatever else my imagination gives me to do with them. My NaNoWriMo wordcount? 18,516 — exactly what it has been for a whole week now. Sometimes life (or rather a relapse of the flu and an antsy 3 year old) gets in the way of novel-ing. Perhaps there will be more, the month isn’t over yet. (to be on “target” I would have 30,000 words as of today). 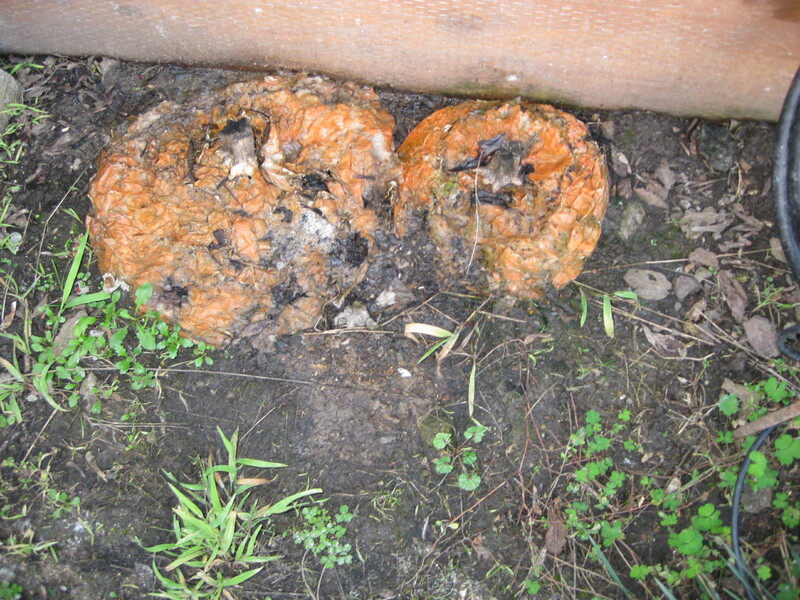 Pumpkins after 8 days in the garden decomposing.